On Monday I showed a couple of guests from Italy around Stockholm's yarn stores. We went to Marias Garn, Nysta, Lindqvist Garn, Garnverket and Anntorps Väv. 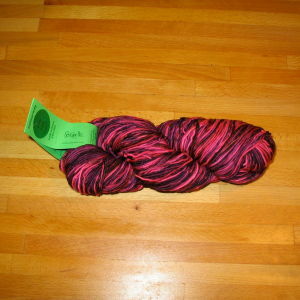 I bought some yarn too, although I tried to restrict myself some. I am afraid that you have to imagine the yarns right now, the camera died as I was taking the photos. I hope he problem was just batteries and I can update the post tomorrow. 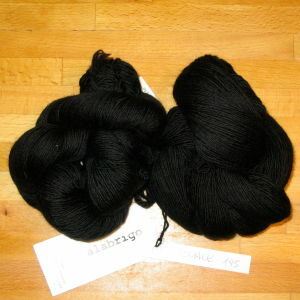 Two skeins of black Malabrigo lace from Maria's Garn, that are meant to replace the two I traded away. Colinette Jitterbug from Nysta. It's going to make a fantastic pair of socks! Visjö from Anntorps Väv. 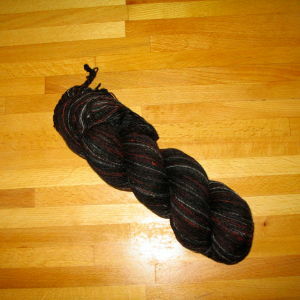 This yarn is truly unique, each skein was different and I spent some time choosing to make sure I got the darkest one. 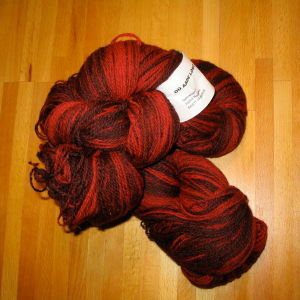 These two I bought in Tallinn on Saturday to make Revontuli Shawl.